Psychiatry Advisor publishes article by Dr. Theodore Henderson revealing physiological differences among depression sufferers’ brain scans, pointing to targeted treatments. Diagnosing depression is often like diagnosing “chest pain,” because there are many causes of the behavioral signs and symptoms of depression. Although depression is pervasive, its treatment continues to be — in most part — reliant on a trial-and-error series of various pharmaceutical and psychological interventions. Symptoms of depression are easy to see – prolonged sadness, negativity, isolation, lethargy. Too often, we treat the symptoms without investigating the true culprit to the behavioral anomaly. But, what if we could see inside the brain and find the molecular differences in brain structure and function among those who are depressed? It would be revolutionary, because we could target the area causing problems more specifically, and skip the trial-and-error treatment plan. 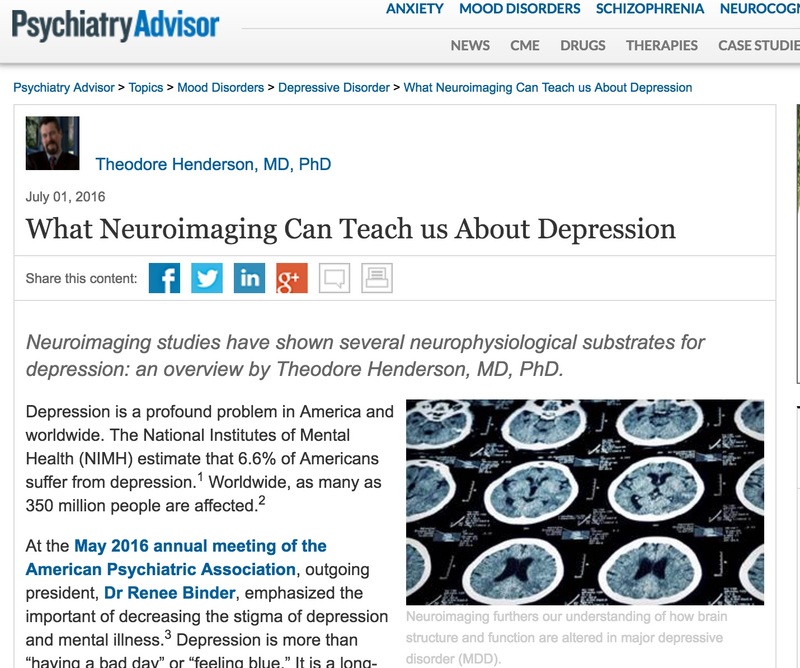 Theodore Henderson, MD, PhD co-founder of Neuro-Laser Foundation recently authored “What Neuroimaging Can Teach us About Depression,” published in Psychiatry Advisor this month. According to Dr. Henderson, neuroimaging studies have show several neurophysiological substrates for depression. Using neuroimaging or “brain scans”, such as single photon emission computed tomography (SPECT) and positron emission tomography (PET), researchers and clinicians can now show that while patients may present with the same symptoms of depression, they can have very different processes occurring in their brains. An estimated 6.6% of Americans suffer from depression, according to the National Institute of Mental Health. We suspect about 350 million people worldwide are affected. Yet despite all the well-meaning efforts of psychiatrists and therapists, despite the cornucopia of antidepressant medications, depression continues to be one of top medical complaints. Depression is serious. Lives are at stake, and there’s no time to try different medications, and talk about problems. Let me suggest helping you discover the biology of the depression by studying your brain. We look at the blood flow, activity and functional performance throughout the brain. This is a part of a full diagnosis process that results in a highly-targeted treatment plan. 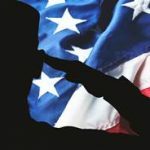 For example, we might find evidence of a previous traumatic brain injury (TBI), which often go undetected and untreated, causing all kinds of problems. 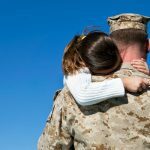 By targeting the TBI, we can reverse the brain damage using a very unique “neuro-laser” that treats the biological cause of the problem, not the symptoms. We have over four years of clinical experience with ketamine, an anesthetic, which rapidly and dramatically reverses depression when applied during a low-dosage infusion. Ketamine activates immediate, as well as prolonged, effects in the body. In particular, it upregulates brain-derived neurotrophic factor (BDNF). Depression has answers, but you have to look. We invite you. Email neurolaser@gmail.com for more information, or call (720) 493-1101 for answers.